The Edson and District Historical Society is pleased to say that Edson's first printing press used in the fledgling days of Edson is up and running again! 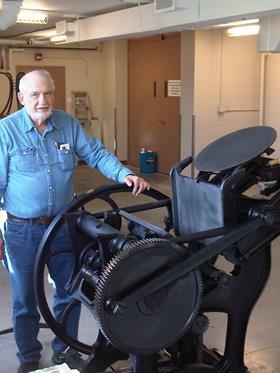 Our dedicated volunteer Howard Bouldry has been working away on the press and we will be printing off the first newspaper in many decades in the upcoming weeks. Stay tuned for updates on this fascinating bit of Edson History! August 2014 marked the 100th anniversary of the outbreak of the First World War. By the end of the conflict the War had touched almost everyone’s life, some dramatically. Take, for example, British subject J Mellor Poucher, who lived in Edson during its fledging years. He sent the Town of Edson a tape of his memories from that time. We will share with you his specific recounting of when our community found out they were going to war and how that changed both his life and the lives of your neighbours. 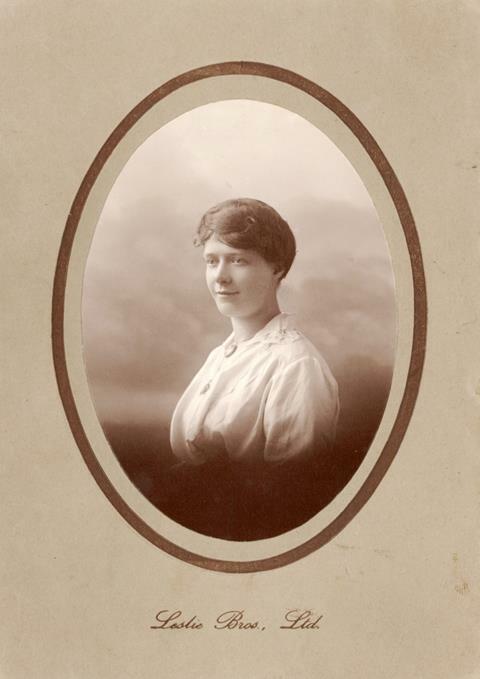 Next, we invite you to meet Sarah Whitehead, a nurse with the Royal Alexandra Nursing Corps, Manchester, England during the Great War. She tended to wounded soldiers from all over the world – including several Canadians – and many of those men signed her autograph book. And finally, we will glimpse into the life of a Canadian prisoner of war Sgt. L.E. (Vern) Turner. Turner was onboard an RCAF Halifax bomber that was shot down over Germany during a bombing raid in 1943. He was the only member of his crew to survive the crash. Turner was taken prisoner by the Gestapo and held in Stalag Luft I, a prisoner of war camp in Barth, Germany. The rations provided by their captors were just enough to stay alive – boxes from the Red Cross containing more food and other comforts were greatly appreciated. Included in the life-saving boxes were journals from the YMCA, providing a way for POWs to record their experiences through journaling, sketches, poetry or painting. It is through Turner’s journal, Whitehead’s autograph book, Poucher’s tape and with help from local Edson Royal Canadian Legion #51 that we are able to bring their stories to life. Presented by the Edson and District Historical Society. Join us for refreshments after the presentation. Hang one of these beautiful, handmade arachnids in your home this October. 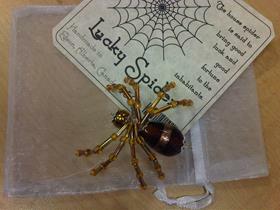 The house spider is said to bring good luck and good fortune to a home's inhabitants. Only $5 a piece, let them add a touch of magic to your halloween season this year.